"Jennings All Spruced Up, helping people live healthy lives by improving indoor environments." This starts by using the safest, hypoallergenic solutions, combine with the most effective cleaning and restoration methods known to our industry. With Jennings All Spruced Up, our goal is to make everyone we serve a customer for life. Which is why we ensure that our cleaning and restoration services are a step beyond the rest. Using only hypoallergenic solutions, Jennings All Spruced Up's carpet, rug & upholstery cleaning removes allergens, dust mites and bacteria from the surface and padding beneath. "The Jennings All Spruced Up team, is Rhode Island's most effective and affordable choice for your facilities commercial carpet cleaning and vct tile and hard surface floor cleaning and care." Preparedness:Our service truck is set up as a mobile plant, stocked with state of the art equipment and cleaning solutions. Free estimates: We physically inspect and estimate in preparation for each project. Approved methods: Using cleaning methods above and beyond what the carpet manufacturer requires, keeping your warranty intact. 100% Satisfaction Guarantee: In an instance where you are not satisfied with the work performed, we will return to attempt to earn your satisfaction within 24 hours of your claim. If we are unable to gain your satisfaction, the funds representing the portion of the work in question will be promptly refunded back to you. Our number one goal is to make you a life long customer. Jennings All Spurced Up, offers choices for your residential and commercial carpet cleaning needs. Each process uses state of the art equipment and hypoallergenic solutions, that are safe for your family and pets. Commercial Carpet Cleaning: Every business owner and manager knows, that having the right commercial carpet cleaning service, is essential for the well-being of their company. A clean, fresh appearance is more inviting for customers, which helps a business retain and increase its load of clients. Carpets that are cleaned by a qualified carpet cleaning service demonstrate to clients a concern for detail on the part of the companies housed therein, making these companies more attractive to prospective clients. Whether you own or run a large business or small business in Rhode Island, the right commercial carpet cleaning business can help you maintain your offices and take your company to the next level. Jennings All Spruced Up is a top provider in the state of Rhode Island for commercial carpet cleaning. Rhode Island companies can hire us with the confidence that we will be able to meet all of your commercial carpet cleaning services needs professionally, affordably, and efficiently. Low moisture carpet cleaning process: Our low moisture cleaning using encapsulating solution and a mechanically rotating brush with cotton pads. The encapsulating solution surrounds any foreign partials at a molecular level within the carpet fiber making them ready to be vacuumed and buffed out. This process leaves the carpet looking and smelling, fresh, and new, removes most stains and soiling. Hot Water Extraction Carpet Cleaning "Steam Cleaning": Restorative carpet cleaning, completely removing all stains and soiling from both the carpet and carpet pad. Our process combines encapsulation and hot water extraction. In addition the hot water extraction process includes zero up charges for most stain removal or the cleaning of heavily soiled carpets. Heavily stained and soiled carpets require extra pre-treatment using several cleaning solutions that must dwell in the carpet for 10-15 minutes prior to cleaning. Our restorative carpet cleaning process includes sanitizing, removing 98% of all allergens, dust mites and bacteria from your carpet and upholstery. By having your carpets and upholstery cleaned by Jennings All Spruced Up our process removes 89% of airborne bacteria from your entire home! Berber carpet cleans best when using both steam cleaning (hot water extraction) and bonnet cleaning combine. The steam cleaning removes the dirt, allergens and dust mites from the carpet and pad below, the bonnet cleaning using a mechanically rotating brush with a cotton bonnet, cleans stains and soiling from the surface leaving your Berber, looking, and smelling fresh and new. Bad odors often indicate the presence of harmful bacteria, mold, or other contaminants; which is why it is important to identify the root cause and deal with the problem at source. Smells caused by mold, pets, cooking, fire or cigarette smoke can not only affect your lifestyle, but also cause loss of property value or trigger adverse health effects. A clean healthy home is important to the health of your family, do not ignore a bad smell in your house, workplace or car, it could be a sign of unhealthy indoor air quality. Jennings All Spruced Up odor removal service does more than just eliminate odors, it also eradicates fine particulate matter such as aerosols, smoke, fumes, dust, ash and pollen, volatile organic compounds (VOCs), mold and pathogens. Your Vinyl Composition Tile (VCT) and tile and grout floors take a lot of abuse. Especially in high foot-traffic areas, within your business. It is important to have routine cleaning and sealing or waxing schedule to prevent excessive wear and tear. That is why we offer floor cleaning and refinishing services for Tile & Grout and Vinyl Composition Tile (VCT). Vinyl Composition Tile VCT flooring is used just about everywhere from restaurants and stores to offices and schools. VCT is extremely durable when maintained properly keeping its clean and shining appearance. Here at Jennings All Spruced Up, we offer a restorative and maintenance cleaning for your VCT vinyl composition tile flooring. Restorative – Strip & Wax/High-Speed Buff Maintenance Cleaning – Top Scrub & Wax/High-Speed Buff Maintaining the look of VCT not only cleans but helps prolong the life of flooring because the high quality finishes that we apply provide protection from normal wear and tear. Odor in homes and buildings can be caused by many sources, some of these sources include pet urine, disaster contaminates, rodents, and moisture problems. Jennings All Spruced Up will eliminate offensive odors with by following four principles of odor removal. For many families, their pets are a vital part of their family unit. Just like other family members, we normally don't get rid of them when they have accidents. And while pets can and do provide a variety of benefits within households, their accidents can also create challenges. Pet urine on wood, cement, carpet, rugs, upholstery or leather can do much more than cause unpleasant odor. Urine deposited on carpet does not stay on the surface. 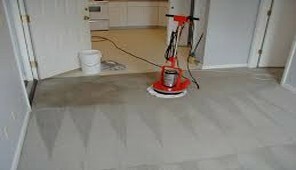 It also penetrates the fibers and contaminates both the backing of the carpet and the flooring material below the carpet. Often, without your knowledge, pets will urinate continually in the same general location, causing significant contamination and damage. Urine odors can permeate from the floor, be it cement or wood, from the tack strips, and even from the framework of the house behind the walls. As urine dries, the liquid evaporates but the urine crystals become even more concentrated and pungent. Simple cleaning will not remove this odor. In fact, these urine crystals are frequently reactivated by moisture. Urine can also cause permanent color damage, either from adding color by dying the carpet fibers or removing color by releasing carpet dyes. Jennings All Spruced Up is fully equip to remove, neutralize and contain pet urine and many other odors from all surfaces. Jennings All Spruced Up, is extremely effective at removing difficult stains and grime from heavily soiled carpets, upholstery and rugs. 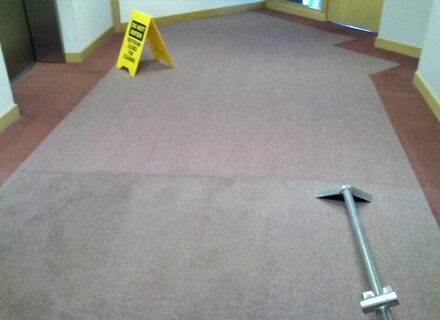 Be sure to call us before you discard your carpet, even with stains that our competition won't touch! We have perfected methods of removing all types of difficult stains, to guarantee your'e continued satisfaction. We are consistently able to remove urine, paint, food, blood, grease, ink, wine, kool aid, mold and mildew. Learn more about our cleaning and restoration services by using the links below. Jennings All Spruced Up offers commercial carpet and floor cleaning service and recurring carpet & floor maintenance for offices, retail stores, restaurants and other facilities throughout RI.